More than 40 experts discuss principles and lessons learned from past experiences to help the professional understand the rationale for proper planning, assessments, and responses to terrorism. 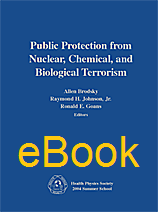 In this comprehensive volume, you will find extensive rules of thumb and data needed for the quick actions necessary to save life and prevent panic in the immediate aftermath of a terrorist attack. Appendices provide information for rapid medical assessment, an extensive list of web resources, and much more.